In Partnership With Ed Moy, Former Director of the U.S. Mint, All Coin Labels are Hand-Signed. When Congress passed the Bullion Coin Act of 1985, the U.S. Mint's first major project was the creation of the Gold American Eagle 1 oz coin, made entirely from gold mined in the United States. Each year, the U.S. Treasury creates a regular "Mint State" version of the Gold Eagle made for bullion market speculation and circulation, as well as an Investment Grade "Proof" version of the coin, designed for serious medium- and long-term precious metals investors. Over time, the creation of coin groups was established to help define and segment American Gold Eagle Proof 70 coins based on economic and social factors spanning a number of years. The chart on the left (top on mobile) is a case study of a snapshot in time from 2010 to 2016. Over this time period, the price of gold started to rise, causing the value of both bullion and Investment Grade Coins to increase. When the price of commodity gold started to cool, the market for Investment Grade Coins improved even more, driving up the price of Gold American Eagle Proof 70 coin sets. The chart on the right (bottom on mobile) shows the price performance of the most recent Gold Eagle Sets, which are not included in the chart on the left (top on mobile). This data suggests a strong market for Investment Grade Coins and could signal the beginning of another boom cycle. Diversification is an investment philosophy and strategy designed to manage overall risk. Assets are divided into "classes." Two assets that respond in the same way to changes in the economic landscape are said to be "correlated." Two assets that respond differently to changes in the economy are said to be "non-correlated." Stocks and precious metals, for example, are two different asset classes, as they generally do not go up and down at the same time as each other. That's why many investors have some of each in their financial portfolio and it's one of the key reasons that many people turn to gold. What many people don't understand, though, is that you can follow this exact same strategy with your precious metals investments. In the gold market, this translates to balancing your portfolio between the two different metals asset classes – bullion and Certified Investment Grade Coins. Mint State "bullion" coins, including the Gold American Eagle, are priced according to the fluctuations of the Commodities Exchange (COMEX). Bullion can be found in various forms, including minted coins, gold bars and other form factors – and they are all valued the same way – by their weight. The value of bullion, or "raw gold," floats up and down every minute with the market price of the metal itself. This is known as the "spot price." This is similar to how the market works for crude oil, wheat, natural gas and other commodities (and yes, even pork bellies!). Investment Grade Coins, on the other hand, are coins minted by the U.S. Mint or other world mints that have shown a track record of investment performance that exceeds that of bullion and even other rare or semi-rare coins. Investment Grade Coins don't trade on an index and therefore have a value that is much less volatile than bullion. This is the key factor that makes these coins ideal for investors who want to shelter and protect their assets from the risks of the commodities and equities markets. Unlike with bullion, the price of Investment Grade Coins is not subject to manipulation by world banks, the Fed, or other political forces. Instead, the value is wholly determined by supply and investor demand, just like prime real estate and other highly sought after tangible assets. Take our 3-minute portfolio quiz to discover the best approach to balancing your portfolio. You are doing the right thing to diversify INTO precious metals. But don't forget to also diversify WITHIN precious metals, or you could be right back on the same roller coaster ride that you have no doubt experienced with your traditional investments. Gold Eagle Proofs that have been independently tested and certified in "museum quality" condition are considered "Investment Grade Coins" due to their rarity and premium value over the standard issue coins, much like the difference between a "common stock" and a "preferred stock." As such, their value is not directly tied to the fluctuations in the market price of gold (also known as the "spot price"). Due to ever-increasing demand and a fixed supply, the value for these coins is more stable over time and the investment performance has out-paced gold bullion for many years. That's why the U.S. Gold Bureau recommends Investment Grade Coins as a long-term store of value, helping to protect your financial portfolio from dips in the bullion market and turbulent economic times like we are experiencing now, while setting you up for significant appreciation over time. Investors select these coins for their rarity and market demand, which preserves their value, even when the commodities market fluctuates. The value and price of these coins is driven by their rarity, tracked as the "Proof 70 population," which indicates how many of these coins are in existence in the world. The lower the population, the higher the value. Serious investors work to assemble deep portfolios of these coins, accumulating a coin set from each year of mintage, plus multiple sets of the most prized years, when possible. These sets are acquired by our company through estate sales, private auctions, seized bank vaults, buy-backs from past clients locking in their return, national coin shows, and through the local rare coin dealer network. Clients of our Private Client Services Division have the first opportunity to acquire these sets before they are made available to the general public. 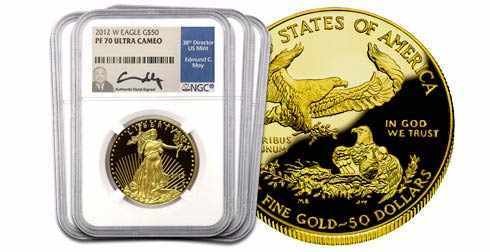 This limited opportunity is available for the discerning client that knows that a complete Date Run of Gold American Eagle Proof 70 coins is the rarest of the rare. This is truly the Holy Grail for Gold Eagle investors, who realize that in coin investing, the whole is greater than the sum of its parts. 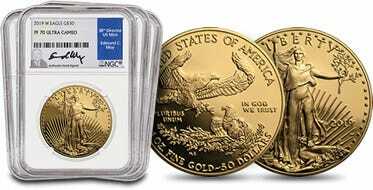 The Gold American Eagle Date Run includes a coin representing each denomination, for each year of mintage. This includes the 1oz for 1986, the 1oz and 1/2oz for 1987, and the 1/10 oz, 1/4 oz, 1/2 oz and 1oz coin for each year from 1988 to the present date (except for 2009, when no Gold Eagle Proofs were minted), making it the ultimate Gold American Eagle Collection. If you are looking for a place to protect and grow a portion of your financial portfolio, protecting it from the rollercoaster of the stock market and the manipulation and uncertainty of the gold bullion commodity market, this Date Run portfolio represents a stable and secure addition to your asset mix. Call your Precious Metals Specialist or our Private Client Services Division today at (800) 219-2359 and learn how the addition of this entire date run can assist you in accomplishing your financial goals. Additionally, the U.S. Mint minted a special edition 2006 3-coin American Eagle 20th Anniversary Gold Set, containing a proof, reverse proof and uncirculated one-ounce Gold Eagle, all bearing the "W" mint mark. Note: The U.S. Mint did not produce any Proof Gold American Eagle coins in 2009. Instead, a 2009 Ultra High Relief Double Eagle Coin was produced. Wholesale Coins Direct has partnered with former Director of the U.S. Mint, Ed Moy, to offer hand-signed certification labels on America's #1 Investment Grade Coin, the Gold American Eagle Proof 70 coin. 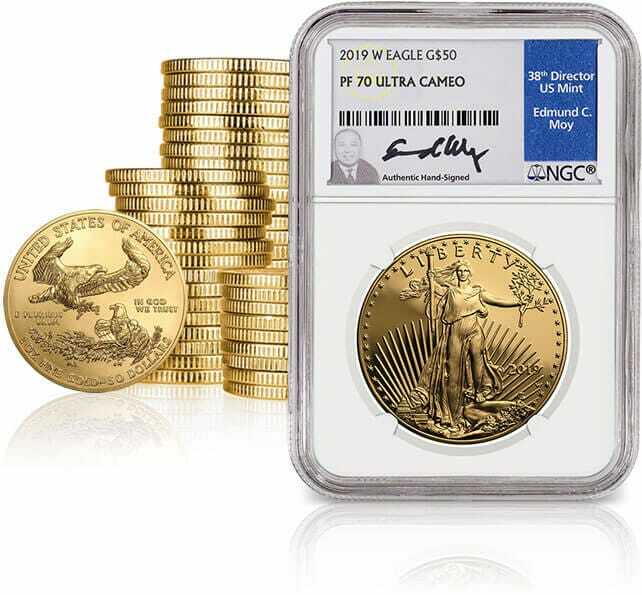 The Ed Moy Signature Series of Gold American Eagle Proof 70 coins will be highly sought after by investors and collectors and is exclusive to Wholesale Coins Direct, meaning population for Proof 70 coins and Date Runs will be extremely low, adding to their investment potential. In addition to being the 38th Director of the United States Mint, Edmund C. Moy is a well-known author, economist and public speaker. He served as Special Assistant to President George W. Bush for over five years and assisted with the transition to the new U.S. Department of Homeland Security after September 11, 2001. The U.S. Mint sold over a $1 billion in numismatic collectibles and struck over 16 billion coins in Moy's first year as Director. During his tenure as leader of the U.S. Mint, the financial crisis, and recession spurred an unprecedented demand for gold and silver bullion. The 50 State Quarter program, the Presidential $1 Coin, and the National Parks Quarter program were also milestones of Ed Moy's term with the U.S. Mint. Ed Moy Signature Series Gold American Eagle Proof 70 are available as single coins, 4-coin sets, and even a full Date Run featuring one of each Gold American Eagles minted since 1986. Demand for these hand-signed coins is expected to outpace supply as investors and collectors realize the tremendous investment potential of these coins. Please contact us for more information about this incredible opportunity available exclusively through Wholesale Coins Direct. *Chart is based on historical gold bullion prices as reported by the official Commodities Exchange (COMEX). 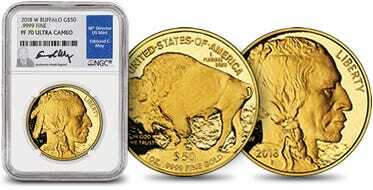 Gold American Eagle performance is based on the average ask price of all the Investment Grade Proof 70 coins and sets included in the Classic, Modern and Millennium Groups as offered and presented by Wholesale Coins Direct during the period shown. Line chart represents a 2-month moving average of both figures. The population of the Ed Moy Signature Series coins is a subset of the coin populations thus they will be significantly lower. As with all investments, there is risk and past performance of a particular asset class does not guarantee future performance. 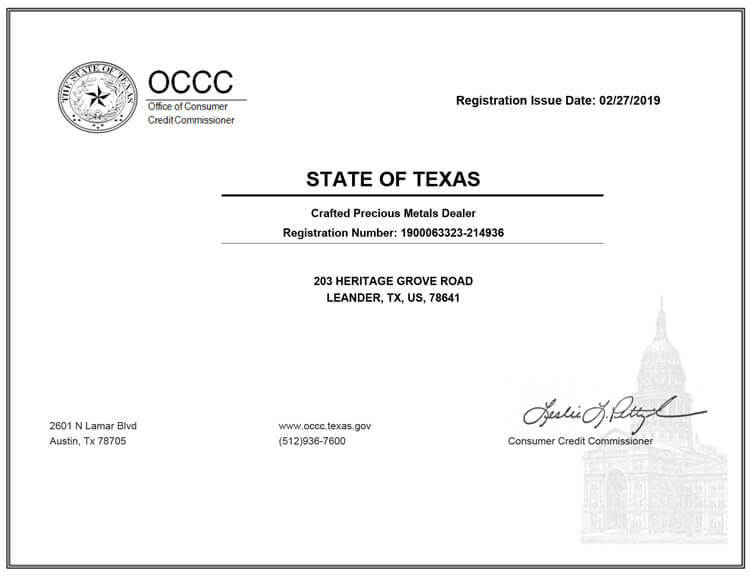 WCD, LLC, representatives are not licensed investment advisors. Consult with an independent financial advisor prior to making a decision regarding the purchase or sale of any investment security. Purchases from WCD, LLC, are subject to our Terms & Conditions of Sale, which are available online at www.wholesalecoinsdirect.com/faq.